As you know, I have been at the Cheslea Flower Show almost every day this week helping to man the English Garden Joinery stand. In some ways this has been brilliant because I’ve been able to see different parts of the show on each of the days, but what it has meant is that time has been a bit of a luxury and I haven’t had the chance to write any blog posts about it. 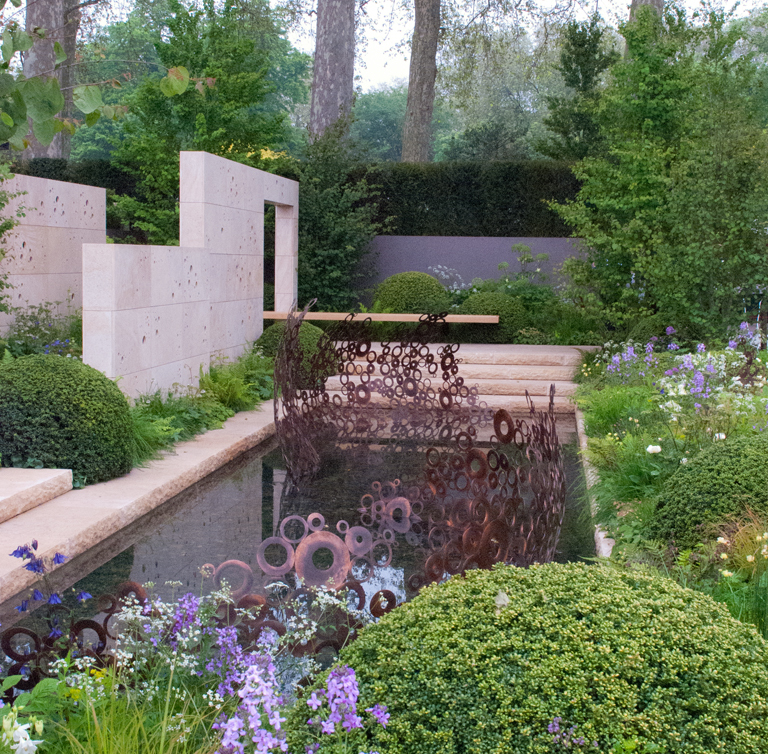 I promise to catch up next week but in the meantime I thought you might like to see some of the pictures I took of the M&G Garden, designed by Andy Sturgeon, which is my favourite show garden this year. 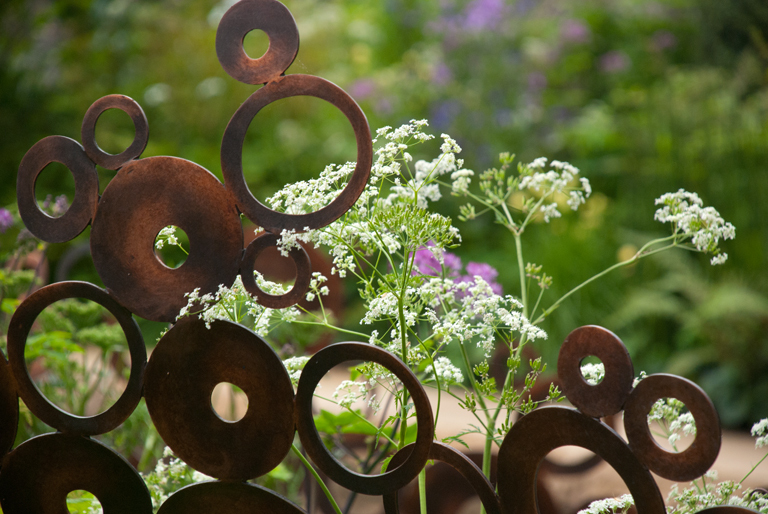 For me, this garden works on every level, it’s perfectly balanced. 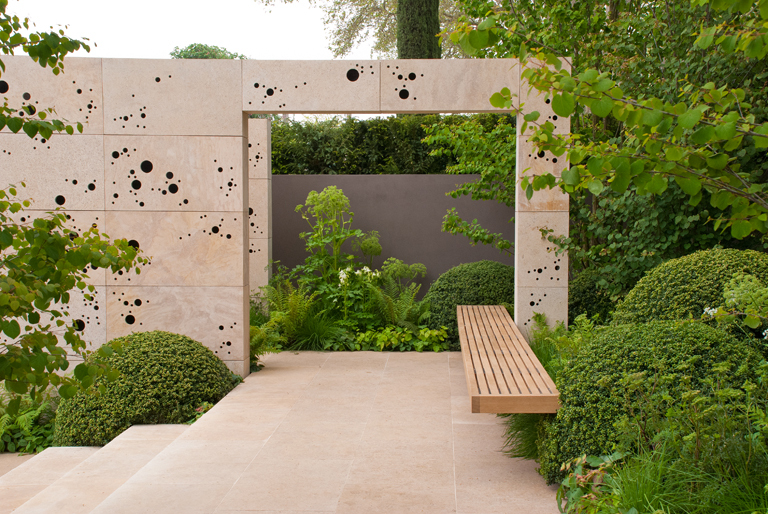 It is a strong geometric design which has an asymmetric quality about it and I love the copper sculpture throughout the garden which is refelected in the pattern on the stone walls. 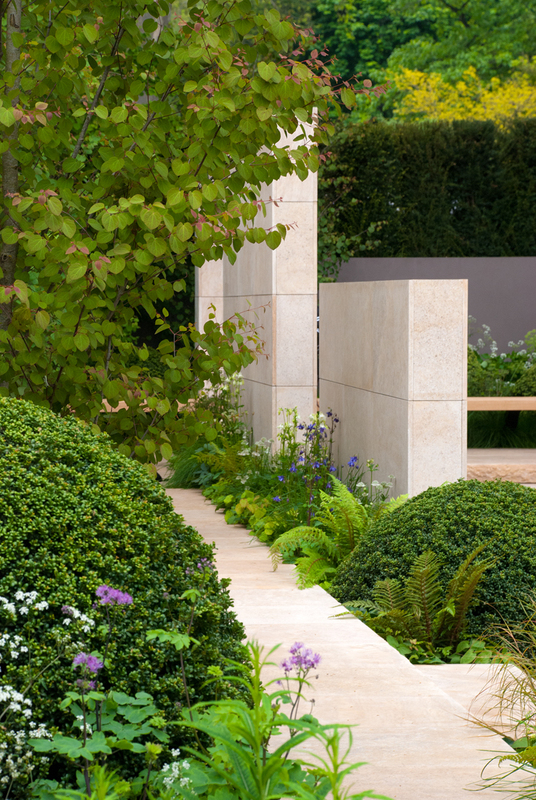 The planting is simple and elegant with bold topiary and perennial planting that brings softness to the sharp lines of the hard landscaping. 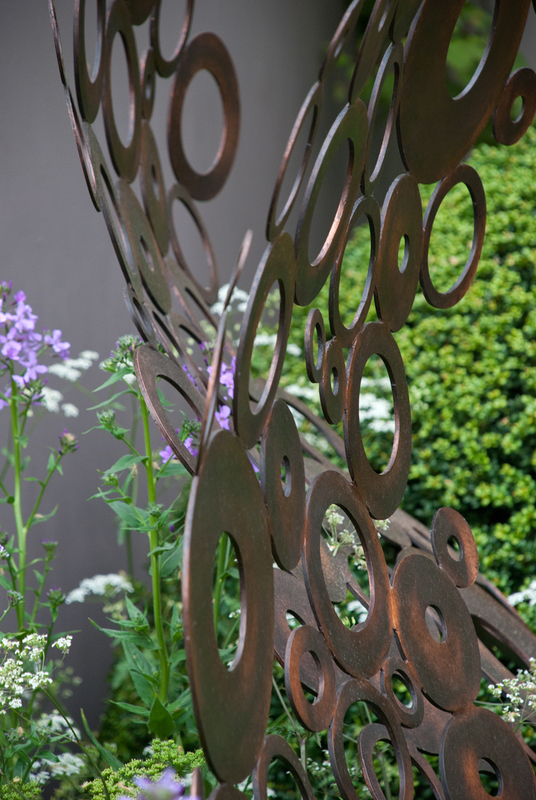 Look at how the topiary spheres lead the eye through the garden. 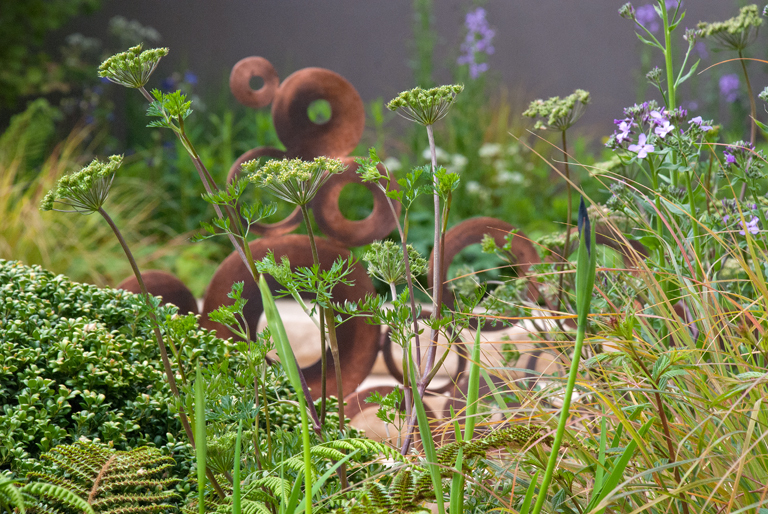 They create rhythm and balance and hold the planting together, contrasting brilliantly with the softness of the grasses, perennials and ferns. 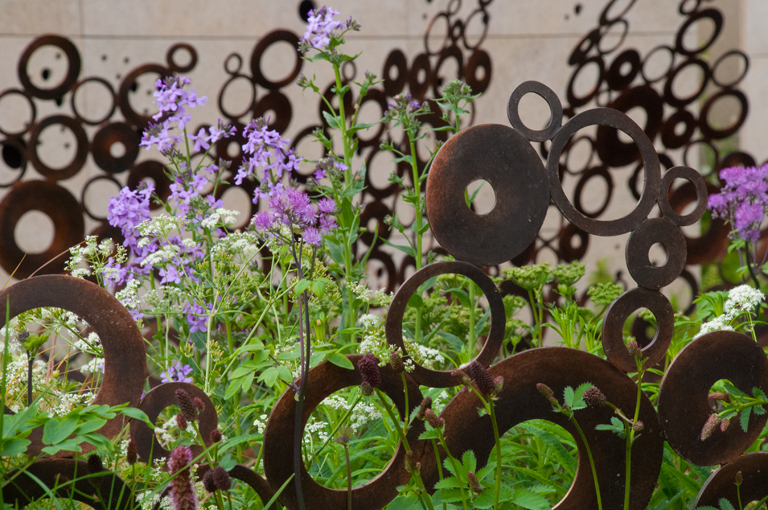 This garden was inspired by the Arts and Craft movement and I think it has a wonderful mix of old and new…it’s really fabulous! I love this garden, it’s gorgeous. Do you know what the tall bush is in the bottom photo – the one with bright green heart shaped leaves and pink new leaves? Yes, was my favourite Chelsea garden that year. It’s a Cercidiphyllum japonicum (Katsura Tree).